How lucky some citizens are – not only they live in a hip city, which has a busy life, culture and rich heritage. Moreover they provide unspoiled natural environment to relax, so you don’t have to travel long distances during the sunny days. Check out these great ten towns that have even greater beaches! Always beautiful, sunny and rich Italy has one of the biggest coastlines in Europe as well as hundreds of pristine beaches. But a lot of historic cities, that have versatile architecture and cultural life are huddled somewhere off the shore. 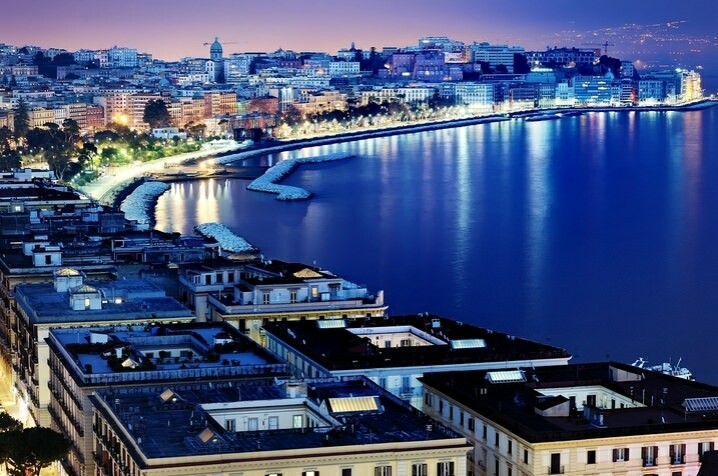 Meanwhile Naples is among the largest cities on the Mediterranean Sea and has it all: a historic center protected by UNESCO, great cuisine and nature. 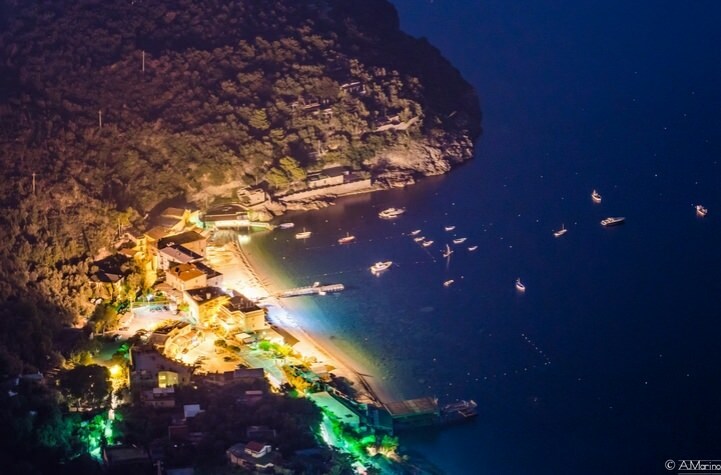 Besides the beaches on the Naples coast, there are several islands around like Ischia, Amalfi or Procida that also are very beautiful and easily accessed from the city by ferry. This is one of the most popular and famous cities in southern Italy. You must pay a visit once around. The beaches in summer are busy with the clubbers, that come to party here at night at various clubs. The vibrant city on the Mediterranean Sea coast has grown from the historic port of Jaffa. Each beach has its own distinct quality. The most popular is Gordon, which attracts tourists, families and vacationers. Meanwhile the strip between Jerusalem Beach and the Dolphinarium is a hip place where hipsters gather to play the instruments and have parties on the beach. Some beaches require an access fee to ensure great facilities like pools and gyms. Others are free and lively, always crowded and hip. There are many restaurants and cafes as well to have a snack while having outdoor fun. The old port served for centuries as a corridor between Islamic and Western world. Today it is the second most populated city in the country after Paris. However there are better beaches to snorkel and bathe in France, but you can most certainly appreciate the dramatic rocky shoreline, have a cruise or a tour on a yacht in Marseille. Besides the historic city will provide a wonderful introduction to the region’s history. Nice old historic city, always busy and having its very own distinct aura. Also visit a new MuCEM, that introduces to European and Mediterranean Civilisations. Surprisingly one of the busiest cities in the world also has a wonderful shoreline. There are numerous beaches for various purposes: bathing, surfing, playing volleyball, having romantic picnics and even turtle watching. Tourists and locals can also have a relaxing vacation in one of the luxurious resorts. A wide variety of nice sandy beaches and clean water to swim in. The shoreline provides numerous recreational opportunities in one of the biggest cities on Earth. The true American metropolis is situated on the coast of Lake Michigan – one of the five Great Lakes of North America. The coastline provides more than 20 beaches for various leisure activities: swimming, relaxing, riding a bike on a shoreline and enjoying various events in summer. In winter Chicago often receives a very cold weather and the lake freezes, also creating a spectacular sight. A lot of entertaining events take place in summer. There are various facilities, cafes and bars, while admission to all the beaches is free. The first thing that comes to mind considering Australian city with a beach is of course Sydney’s Bondi. However, the Australian shoreline is packed with other great cities as well! Posited on the Indian Ocean, Perth offers great clean beaches for recreation. Moreover there is a vast marine life to be explored: from Marmion Marine Park one can admire sea lions, bottlenose dolphins and migrating humpback whales. Visitors can enjoy all year round fun on the beaches here, since Perth receives hot summers and mild winters. Besides there are plenty of museums, architectural sites and parks that make it a great tourist destination. One of the most vivacious cities in the country is a blend of amazing nature and hip urban area. There are a lot of soft sandy beaches with turquoise water, that are great for sun bathing, swimming and having a romantic picnic. There are also beaches that have bigger waves for surfing. Moreover you can even have a nice horse riding on a beach in Noorhoek. The most exciting city in South America and its iconic Copacabana Beach welcome guests all year round. The Brazilians are famous for knowing how to celebrate and one can make certain of this saying on the beach. Playing volleyball and soccer, sun bathing and swimming, partying and having a picnic – the amusements are on a roll here. Come here to have fun and relax. Also you can find a lot of bars, restaurants and hotels here as well as beautiful Portuguese pavement. Locals come to the beach to celebrate New Year’s Eve and watch FIFA Beach Soccer World Cup. The West best Coast and one of the coolest places in the world – the city of angels. So many art, outdoor activities, endless summer and celebrations – the whole city is a vibrating alive entity. And of course the numerous beaches for any purpose: rocky El Matador to have a romantic walk on, boisterous Surfrider to surf, Santa Monica to entertain oneself… The list is endless – you’ll find whatever you want there. There are so many great beaches in LA, that will suit any taste. Besides the weather is great all year round. How can any list like this be without this divine place? Hawaii is truly a paradise on Earth. Volcanoes, hip cities, exciting nightlife and of course soft sandy beaches and crystal clear water. Everyone can please their soft spot here: from big waves for the professional surfers or small waves for the beginners, to crystal water and rich marine life that are great to explore while diving. And of course a number of great resorts will make a vacation here unforgettable. This is one of the best and most desirable places to go on a vacation to. 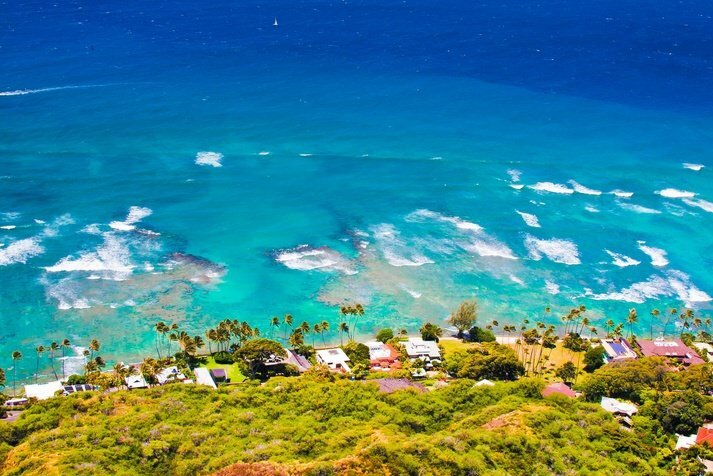 Hawaii and its capital Honolulu provide iconic beaches with blue water and palm trees – just as you saw on a postcard.